Social Media Listening with Echobot: Powerful and simple. Echobot monitors social media networks based on two aspects: search words and accounts. The most important influencers and keywords are pre-saved – and you can always add more. 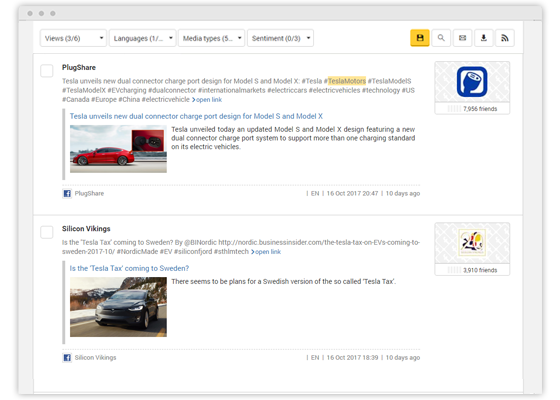 Echobot searches for the relevant public posts and compares these to your criteria. Retroactive searches through over 5.5 billion articles are also possible. Echobot Social Media Listening is designed for international coverage. The search technology works independent of the language and delivers public results from all countries. The language used in each article is recognized automatically and can be filtered directly. Your free, fully functional trial is just moments away. Hand on heart: When is the last time you went on vacation without reading the hotel reviews on the Internet? Or bought a new washing machine without at least reading a few opinions and reviews? Consumers are always sharing tips about the best restaurant, best place to go shopping, or to have fun. And even in the business world, recommendations and the reputation as a business partner are increasingly becoming key criteria. Shaken trust can cause a company to lose billions in potential sales and even lead to recalls. 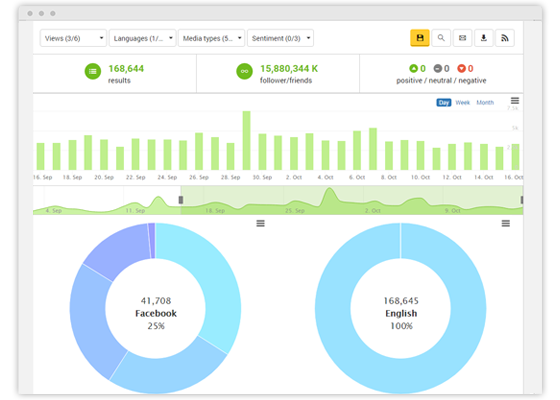 Social listening enables you to keep a clear overview allowing you to respond quickly to critical comments. 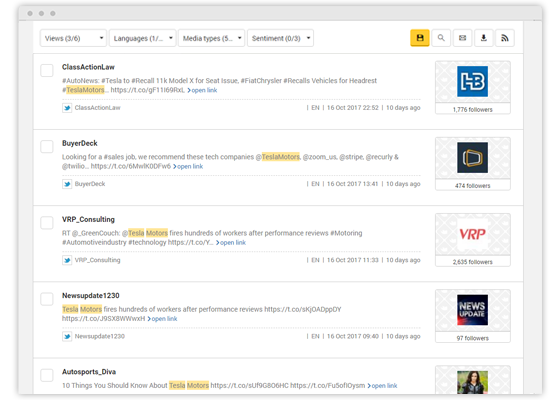 Echobot is a modern social media listening tool for companies, which you can use directly on your browser without installation. 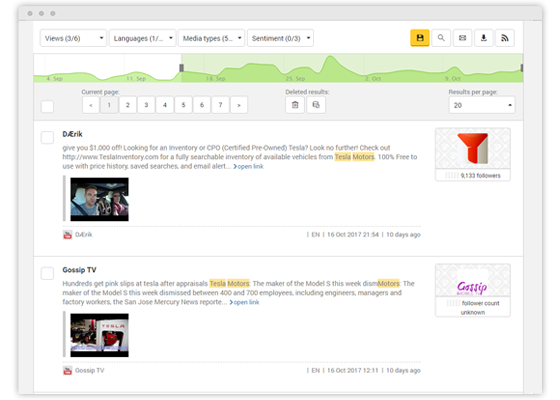 With the monitoring flat rate, you can monitor as many search terms as you wish and initiate analyses for the latest hits. Here, Echobot developed a method that is based on machine learning algorithms, which is intended for company monitoring and spares you the complicated search profiles. Echobot is optimized for the key social media platforms, i.e. Facebook Twitter, YouTube, Instagram, Pinterest, and Google+. 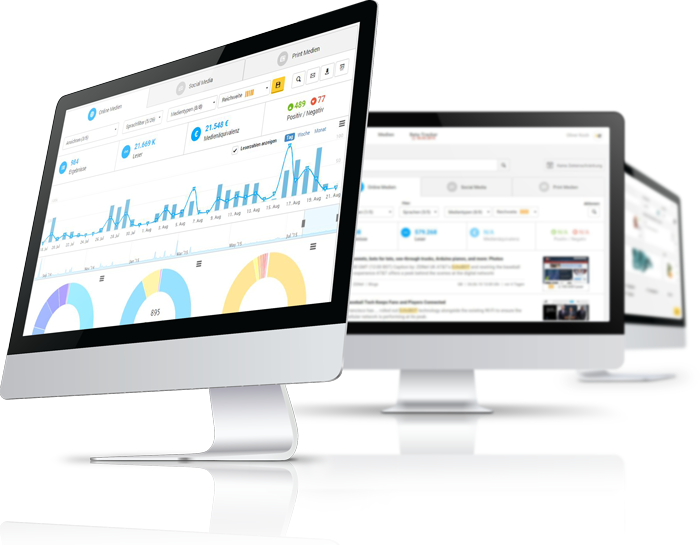 You can also use it for more channels, such as forums and blogs, which you can easily integrate through the parallel online media monitoring. 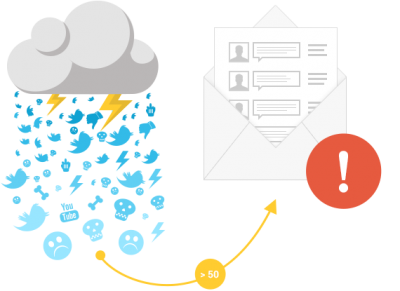 Once you set up your social media alert, you automatically receive notifications in your mailbox or on your smartphone as soon as someone posts a new opinion, relevant post, or a review to your keywords. You could also configure it to receive hourly, daily, or weekly summaries. The ability to set up recipient groups enables you to easily keep your entire team, members of the management, etc. informed. With every hit, you get a direct link to the conversation on the social media network and you can follow the respective conversation or even contribute with just a few clicks. In addition, you could also use labels to delegate subsequent processing to your colleagues. A social media report is a document that summarizes the latest results and social media posts about your company. 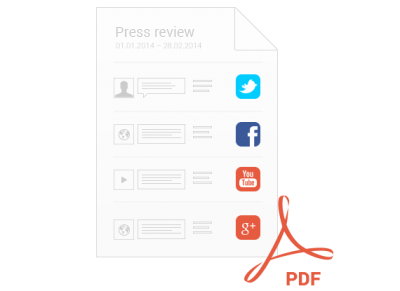 Echobot helps you generate a prepared press review in PDF format or in Excel, either fully automated or with just a few clicks. Here, you can easily choose and structure the content, set the colors, logos, and images to suit your corporate design. You also decide on the number of search results and the networks that should be considered as well as the sorting and filter criteria. In addition to links on the detailed entry, an avatar and number of friends/fans of the user are also indicated. The total then gives an indication of your gross potential achieved through social media channels. In many cases, there are relevant Twitter, Facebook, or Instagram accounts that are particularly relevant to companies and that need to be monitored constantly by the companies. 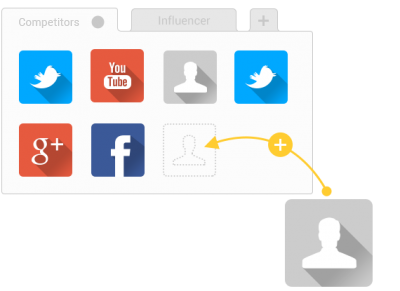 With Echobot, you can very easily consolidate these so-called “influencers” in a user panel. The results are displayed in a retroactive list of all public posts from which you can search, compare, or fully subscribe to specific posts. Ideally, this approach is also suitable for competition monitoring. You will be surprised at how much you can learn about the strategy of the key market players by simply monitoring the different social media channels. Job postings, employee reviews, customer feedback, current mistakes and problems – all this is hidden in posts on Facebook and other social media platforms. See for yourself. Create your free account.